At least 67 civilians were killed by Syrian regime forces in opposition-held areas in eastern Aleppo in the past two days, according to a local civil defense official. “Streets are littered with dead bodies,” Najib al-Ansari told Anadolu Agency on Wednesday. “Many other people are stuck under the debris of collapsed buildings waiting for help but we are helpless and can’t rescue them,” he said. Since mid-November, more than 1,138 civilians have been killed in eastern Aleppo in attacks by Syrian regime and Russian warplanes. 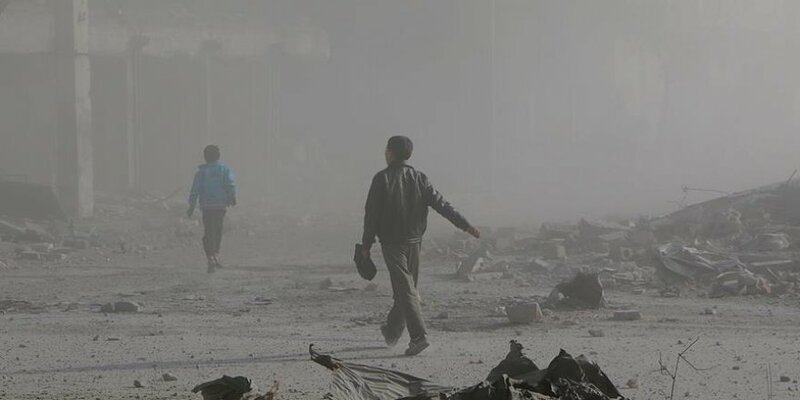 On Tuesday, regime forces and opposition groups reached a ceasefire with a view to evacuating civilians from besieged areas in the war-battered city. For his part, Ibrahim Abu Leys, a civil defense spokesman in Aleppo, said thousands of civilians in eastern Aleppo had to move from a neighborhood to another in the opposition-held areas to flee regime attacks. “Families with children have nothing to eat. Nothing to burn for heating. A lot of people are homeless,” he told Anadolu Agency. “Everybody is living a serious tragedy,” he said. Since September 4, Syrian regime forces and Iran-backed Shia militias have imposed a crippling siege on opposition-held districts in eastern Aleppo. Syria has been locked in a devastating civil war since early 2011, when the Bashar al-Assad regime cracked down on pro-democracy protests -- which had erupted as part of the "Arab Spring" uprisings -- with unexpected ferocity.